Modern bakeries and confectioneries can’t just rely on the abilities and action of the workforce these days. At the same time you have to put your money on high-quality machines that is pivotal for the success of an establishment in this field. 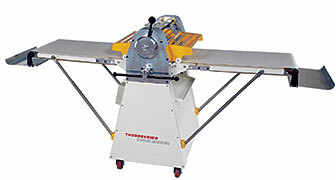 Our Thunderbird bakery machines are your fitting companion on the road to success. They aren’t just there for reducing manual labor but also ensure highest quality and longevity. From the production of different dough to dough preparation and the cutting of baked bread, our powerful Thunderbird bakery machines cover a wide variety of dough processing.